The Makings of a Pot | Irene Abdou Photography, LLC - Travel. Lifestyle. Documentary. NGOs, Development & Public Health. In the village of Kalabougou near Segou, Mali, women of the numu blacksmiths population have worked for centuries as traditional potters. 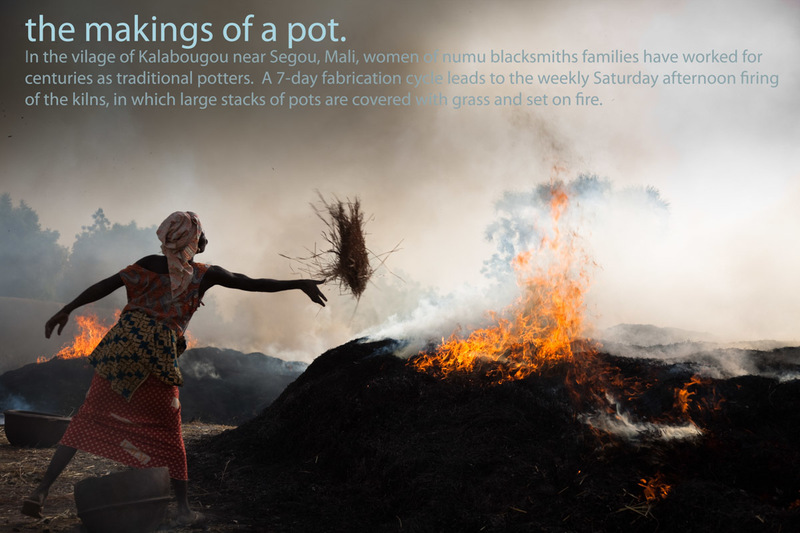 A 7-day fabrication cycle leads to the weekly Saturday afternoon firing of the kilns, in which large stacks of pots are covered with grass and set on fire.